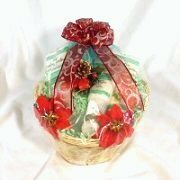 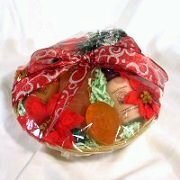 Here are some samples of our gift baskets. 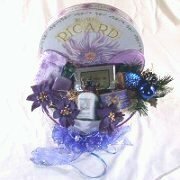 We specialized in personalized gifts. 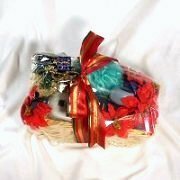 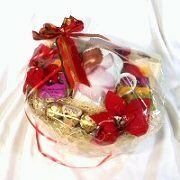 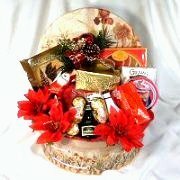 We will discuss with you the occasion for the gift, and the most appropriate items to be placed in the gift basket. 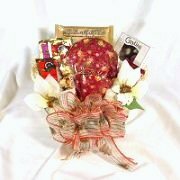 Our gift baskets have been known to draw some rave reviews!